Koh Rong was one of the greatest surprises we have had so far in over 12 months of travelling. Arriving by boat from Sihanoukville, we weren’t sure whether Koh Rong would be an unspoilt paradise or an unbearable mess of drunken backpackers. Lucky for us, it was the first – an unspoilt paradise of white sand beaches, turquoise waters and jungle interior just waiting to be explored! 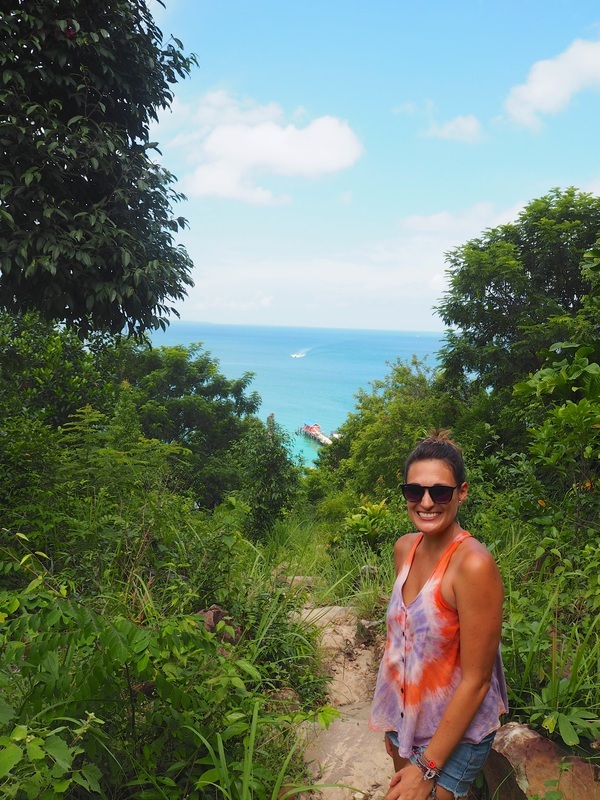 Welcome to Wade and Sarah's Koh Rong Travel Guide! Koh Rong is roughly 25km off the south coast of Cambodia and is a 45 minute boat trip from the popular holiday town of Sihanoukville. Koh Rong is not a luxury island. Until recently the island did not even have 24 hour power and even now, power cuts are still relatively common. 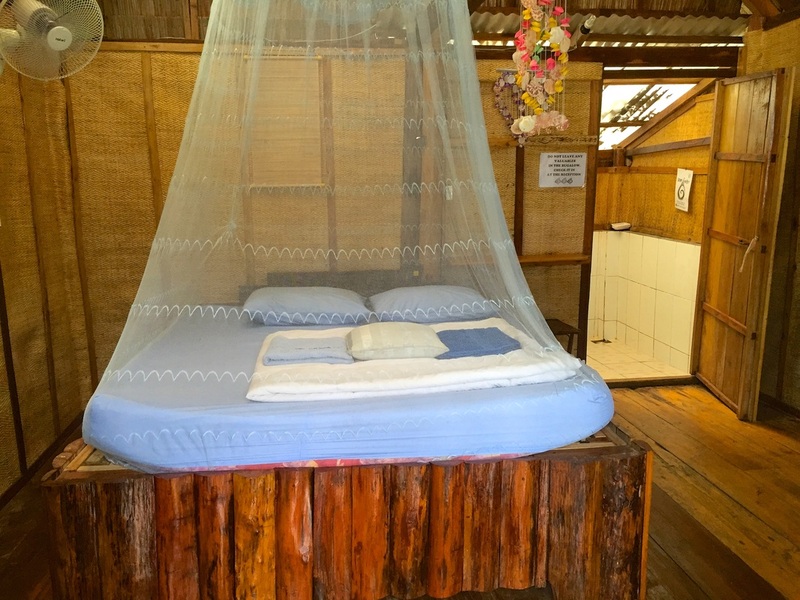 The variety of accommodations on offer on Koh Rong, range from beds in dormitory style rooms to private rooms in guesthouses and finally our favourite, bungalows on the beach. You will struggle to find anywhere with air conditioning on the island and hot water is also very much a luxury that shouldn’t be expected, but these little sacrifices are well worth the reward! If you visit the island expecting a rugged, diamond-in-the-rough style, paradise, then I guarantee you’ll find it on Koh Rong! 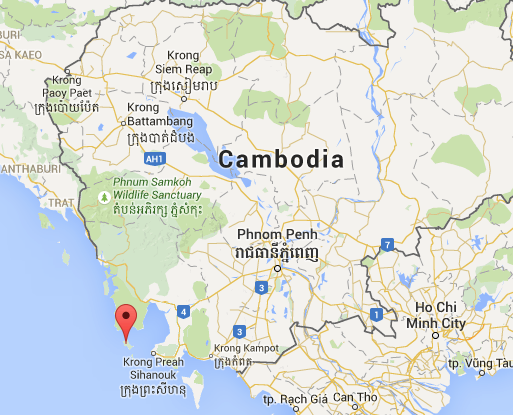 Getting to Koh Rong from Sihanoukville is quite simple. Depending on your time and budget, you can either take the slow boat which can take up to 3 hours depending on the weather, or you can opt for the fast boat which will get you to the island in under an hour. Both boats leave twice a day and generally include a minivan transfer from the centre of Sihanoukville to the wharf. Tickets can be purchased at any number of guesthouses and tour agencies in town and are purchased as a round trip with the return ticket valid for up to one month. In August 2015, the fast boat to Koh Rong was $20 per person return. Both boats also make a stop at the smaller and slightly more upmarket Koh Rong Sanloem where you can also disembark if you choose and return tickets are also valid. 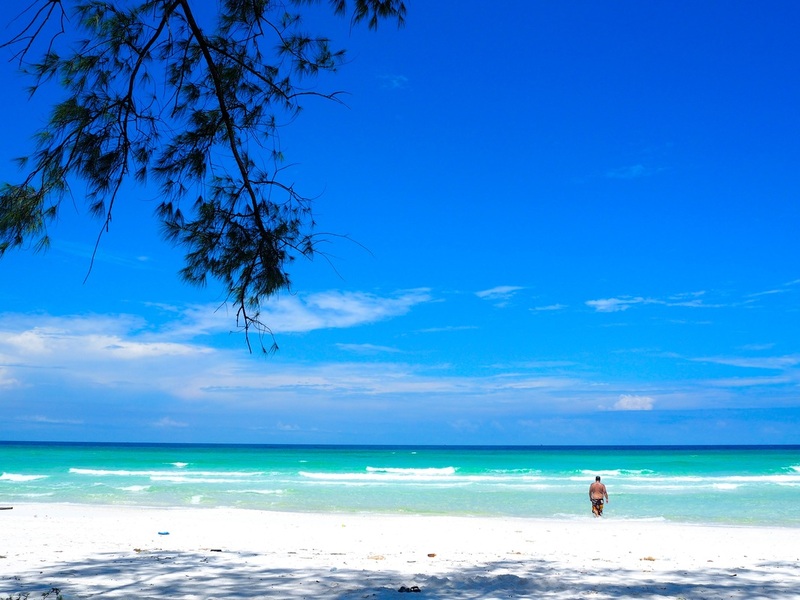 Upon arriving at Koh Rong, all travellers are met with a decision. Where to stay? Staying on the main beach where dorm beds can be as cheap as $3 and private rooms go for around $10, is easily the best value option. There are plenty of places to choose from and many budget backpackers are quite happy to deal with the loud parties and music from the centre of town. The next option is to stay within walking distance of the main beach, which basically means walking north or south along the main beach until you find a bungalow that suits your needs and budget. The final option is to jump into a long tail boat and negotiate a price with the driver to take you to any one of the resorts dotted around private beaches on this stunning island. 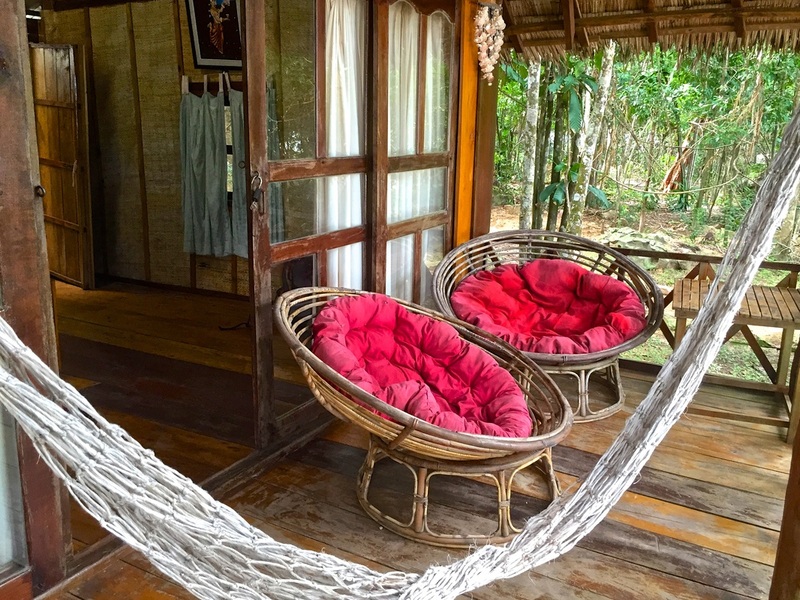 We chose to stay at Treehouse Bungalows, it was absolutely incredible! 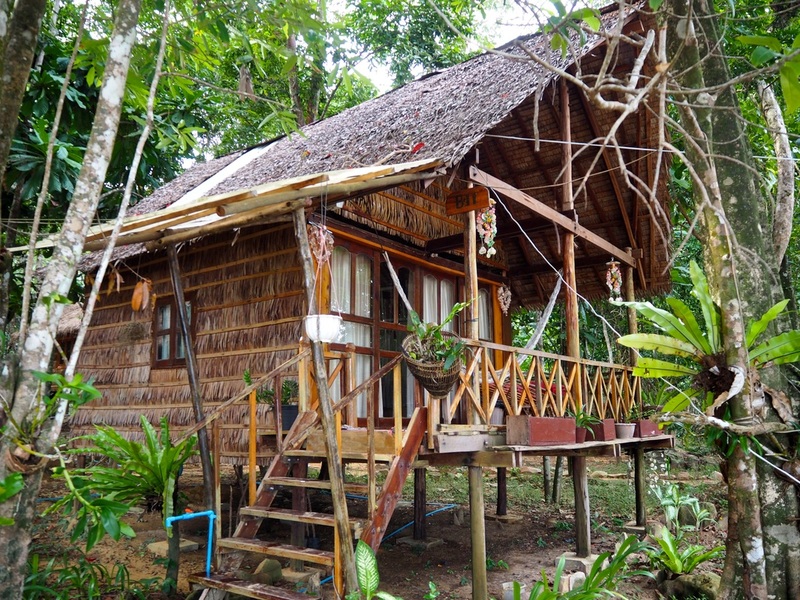 You can read our full review of Treehouse Bungalows here. 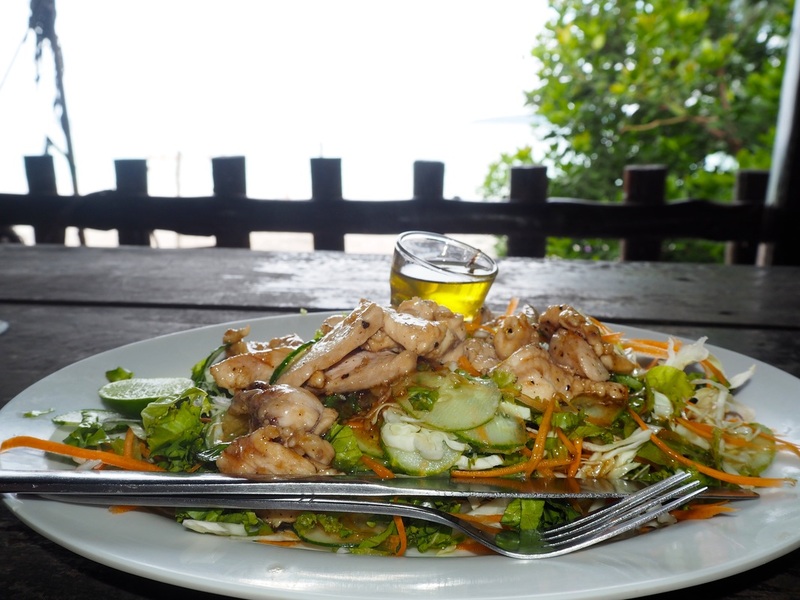 There is a wide variety of food available on Koh Rong and considering its remote location, the prices at many of the restaurants are relatively fair. Most guesthouses in town as well as the more isolated resorts out of town, all have their own restaurants so you are never too far away from a good meal! Everything from fresh fruit shakes to local Kmher specialties to Western favourites like pizza, salads and burgers are all available throughout town. Food prices range from $1 baguettes and fruit shakes up to the pricier $8-10 for Western style meals at the top of the scale. Most guesthouses and restaurants serve basic stir-fry and rice dishes for around $3-$4. 1. Monkey Island – if you need a Western fix try the Ocean Burger ($4.75) but if you want a good local specialty, then you can’t go past the Fish Amok ($4)! We also had the BBQ here one night and for $6 we each ate a beautifully cooked whole fish with sides (potato, salad, garlic bread) and a free beer! 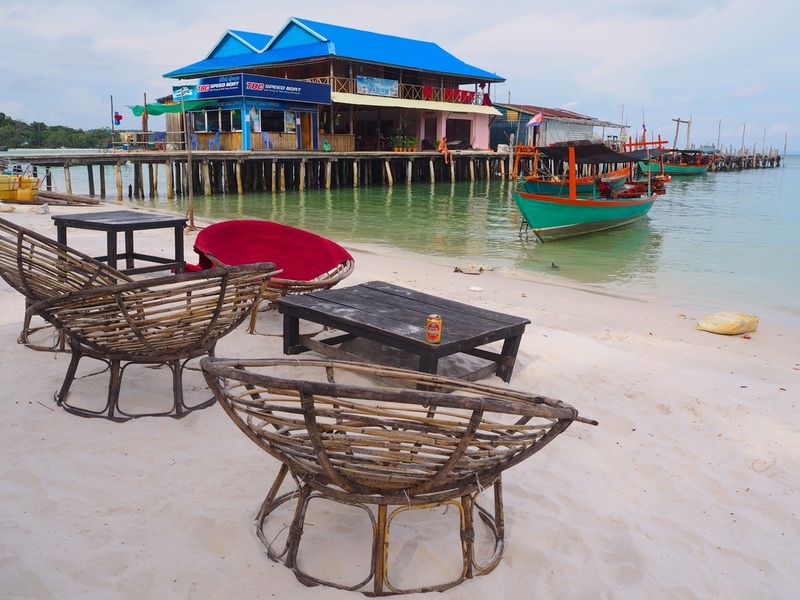 Koh Rong has a sleepy, laid back beach atmosphere by day, however by night there are plenty of opportunities for a few sunset drinks to turn into a big night out! Most bars on the island have Happy Hour on beers and cocktails and there are also weekly events and parties organized by a few of the bars in the centre of town. For the best view on the island, head straight up to Sky Bar. This incredible, wooden chill-out area and bar is set high above the main Touch Beach and by the time you've climbed the 100 odd steps to the top you'll be well and truely ready for an ice cold beer or one of the cocktails on offer. Later into the evening, the colourful Vagabond restaurant and guesthouse comes alive with loud music and extra tables and chairs set up on the sand to cater for the growing crowd. Along this same stretch are other backpacker type bars such as Bunna's, Bongs and Bamboo all offering Happy Hour beers and a relaxed drinking vibe. During our stay the local organization "Friends of Koh Rong" organized a Friday night pub crawl to five of the main bars in the centre of town. For only $5, these nights promise free drinks, bar games and a good chance to meet some other travellers to this awesome island. There are also other nightly offers at many of the bars such as movie nights, trivia nights and also fire shows. Most bars on the island will stay open as long as they have customers with many playing loud music well into the early hours. Koh Rong offers as much or as little as you want during your stay. For those who just want to lap up the island lifestyle, the white sands and turquoise waters of the main beach will quickly become a second home! For those wanting to do a bit of exploring, the island is there for the taking! From walking tracks across the island to kayaking, snorkelling and scuba diving, Koh Rong has a wide variety of activities to please every possible visitor. The main walk is from the centre of town on Touch Beach to the infamous 7 km white sand stretch of Long Beach. This walk takes around 1 hour and is an easy to moderate walk. The most difficult part would be the steep descent into Long Beach where some scrambling over rocks and careful footing is required. You can start this walk from a few places along the main stretch of town or also by walking up to Sky Bar and following the path signposted behind the bar. Other than Long Beach there is also Pura Vita, which is around a 30 minute walk from the centre of town. From where we stayed on the northern end of Touch Beach it was an easy 20 minute walk along a relatively flat path eventually opening out onto a long vacant beach. As of August 2015, there is only a small drinks stall and a restaurant with beachfront bungalows along this stretch of beach so it’s another good option if you are looking to escape the crowds. While there is a small shop/restaurant at both Long Beach and Pura Vita, make sure you take plenty of water and sunscreen on these walks as it gets very hot during the day. Kayaks can be hired from a number of guesthouses along Touch Beach and generally the conditions along this calm, protected beach are ideal for kayaking regardless of skill level. Life jackets should be available however, should you need them. Koh Rong is one of our personal favourite islands so far in South East Asia. Now obviously we haven’t been to every island throughout the continent, however it has that laid back, undeveloped vibe that has been long lost on so many of Thailand and Vietnam’s most beautiful islands. Koh Rong is definitely more expensive than mainland Cambodia however we felt that the quality of both food and accommodation was often higher also. The nightlife is certainly no match for nearby Sihanoukville or Thailand’s Phi Phi island however that is also part of Koh Rong’s charm. Overall, I think Koh Rong is best suited to a mid twenties and older backpacking crowd or couples just wanting to escape and explore for a few days. My biggest hope is that the mass development currently underway on the island, manages to preserve the beauty, the atmosphere and the rugged natural interior of this unspoilt island. Want to see more from Wade and Sarah's awesome week on Koh Rong? Click here to see our full Photo Album!